Beacon Business Park - Commercial property available. Beacon Business Park, Stafford. 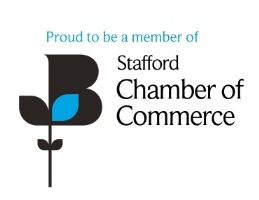 Take an aerial tour to see the development land available on Beacon Business Park in Stafford. Beacon Business Park in Stafford benefits from excellent access, on site management and 24-hour security. Beacon Business Park was established in 2004, on a former RAF site in the heart of Staffordshire, and over 350 jobs have been created since then. Click here to download a copy of the Roadside Frontage Brochure. Click here to download a copy of the Industrial Development Brochure. Planning permission has been granted to develop the adjoining 50 acres, as a mixed employment zone within Stafford. Infrastructure works were completed in 2014. 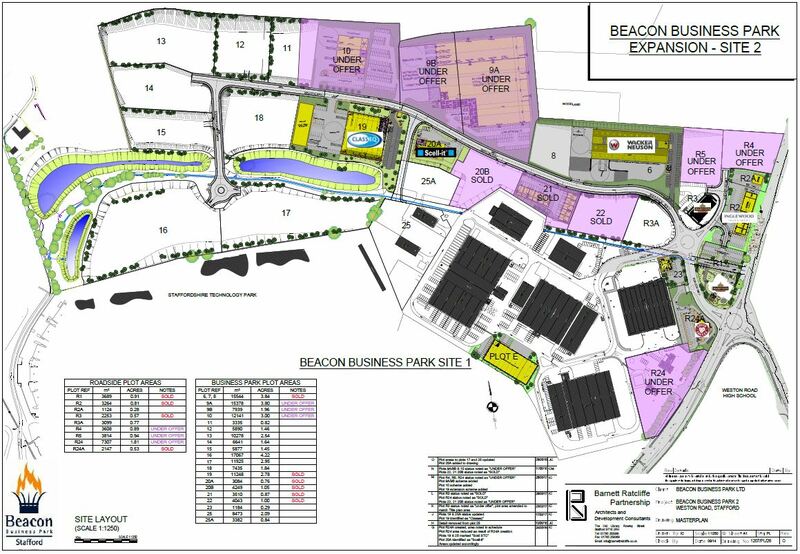 Access to Beacon Business Park is just 4.5 miles from the M6. The location is also central to other UK motorway networks such as the M1, M54 and the M42. Other major road links in the area include the A50 and the A34. Click here or on the image for a detailed master plan for the site layout and plot availability. For a confidential discussion of your particular requirements contact ISE Estates on 01785 256 098. Drivers can take a break from their morning commute now that the anticipated development of the first Costa Coffee DriveThru in Stafford has opened for business. In a few months a new Central England Co-operative store is expected to open on Beacon Business Park, creating dozens of jobs for the local community and providing a much-needed amenity for housing developments nearby. Watch the erection of the Stafford Beacon & Knot sculpture.